Eternal Vigilance? 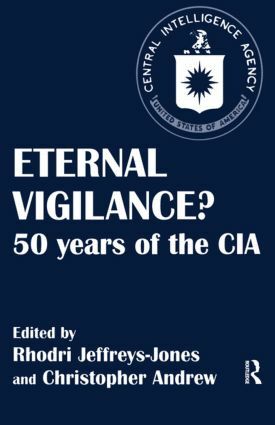 seeks to offer reinterpretations of some of the major established themes in CIA history such as its origins, foundations, its treatment of the Soviet threat, the Iranian revolution and the accountability of the agency. The book also opens new areas of research such as foreign liaison, relations with the scientific community, use of scientific and technical research and economic intelligence. The articles are both by well-known scholars in the field and young researchers at the beginning of their academic careers. Contributors come almost equally from both sides of the Atlantic. All draw, to varying degrees, on recently declassified documents and newly-available archives and, as the final chapter seeks to show, all point the way to future research. Why Was the CIA Established in 1947?